Mitch McLain plays the puck behind the Nanooks' net last Saturday. McLain was nominated for the Senior CLASS award Thursday (Photo by Todd Pavlack/BGSUHockey.com). The Falcons have retribution on their minds as they head to Houghton this weekend to face the #20 Michigan Tech Huskies. 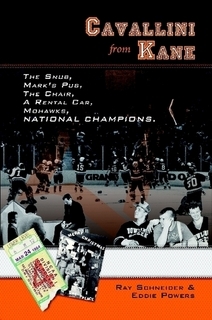 Tickets are available on the Michigan Tech website. Eric Dop picked up the WCHA Rookie Player of the Week. Dop stopped 25 saves last Friday. Mitch McLain has been named a candidate for the Senior CLASS Award. An acronym for Celebrating Loyalty and Achievement for Staying in School, the award focuses on the total student-athlete and encourages students to use their platform in athletics to make a positive impact as leaders in their communities. Minnesota State improved to #9 in this week’s USCHO poll, while Michigan Tech fell to #20. Bemidji State and Northern Michigan received votes but were unranked. The Mavericks also picked up the #9 spot in the USA Today/USA Hockey Magazine poll. Michigan Tech received votes but is unranked. Bowling Green came in at third place in the first edition of the Tech Hockey Guide weekly media poll. Michigan Tech is 1-3-0 in their last four games after starting the season 3-1-1. They were swept by Minnesota State last weekend in Mankato. The Huskies are coached by first year head coach Joe Shawhan, who was previously an assistant coach at MTU under Mel Pearson. Shawhan is an alumnus of Lake Superior. They’re led in goal by Patrick Munson, a transfer from Vermont. Robbie Beydoun has appeared in just one game with under 10 minutes of ice-time. The last time the Huskies and Falcons met was in last year’s WCHA Playoffs Championship game, where Bowling Green fell in double-overtime. Ferris State will head to Ann Arbor to play Michigan and Alabama-Huntsville heads to Tempe, AZ to play Arizona State. In conference play Alaska-Anchorage heads to Lake Superior, Minnesota State travels to Northern Michigan, and Bemidji State heads to the 49th state to face Alaska. 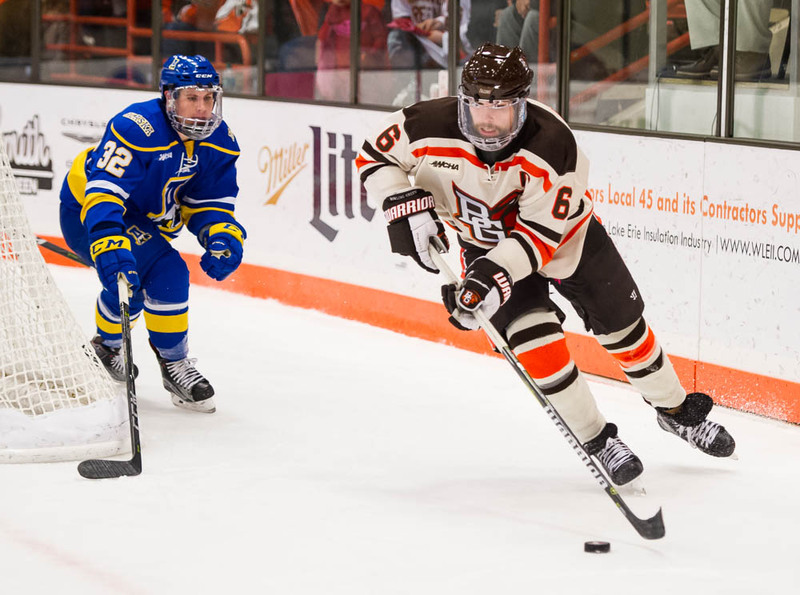 Bowling Green will welcome Lake Superior to the Slater Family Ice Arena next weekend.